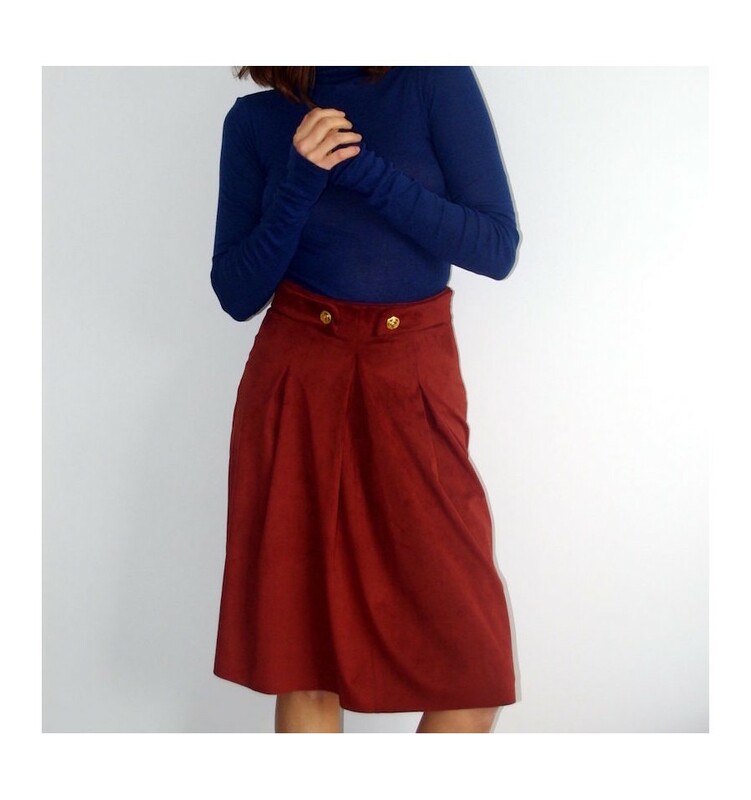 Timeless skirt with a slightly high waist and underlined with 2 decorative button tabs. 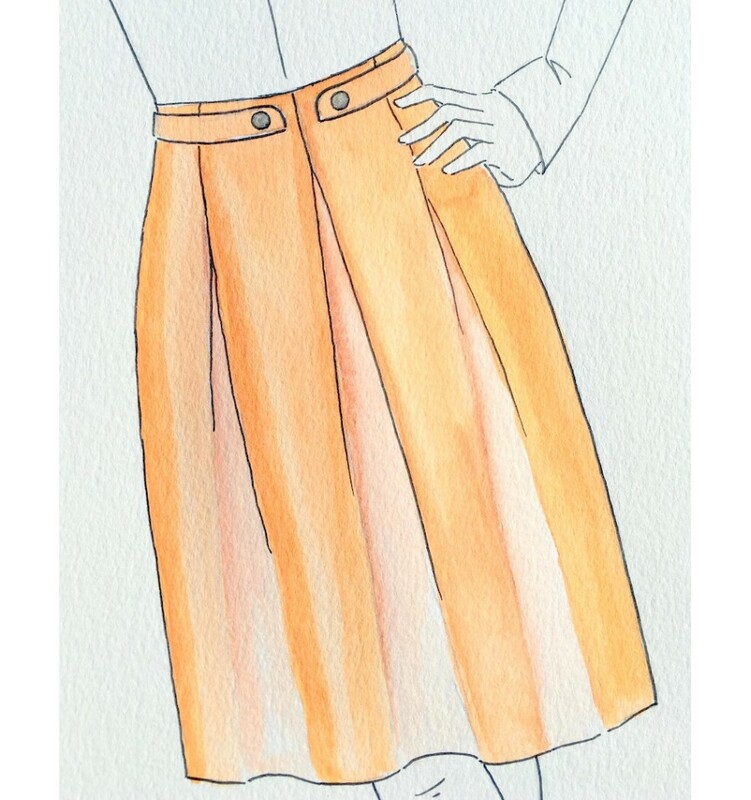 Front and back pleats and zip closure in the middle back. Midi or mini version.